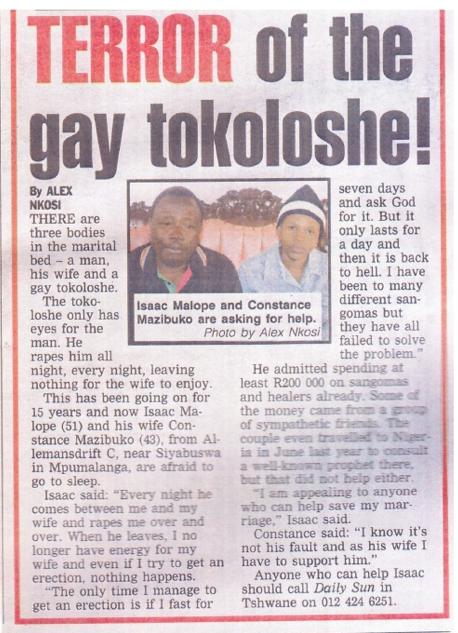 Just when you thought the legend of the Tokoloshe couldn’t get any weirder comes an article from the Daily Sun, South Africa’s biggest daily newspaper. According to the article, 51-year-old Isaac Malope is claiming that, for some time now, a tokoloshe has been creeping into Malope’s bedroom and having its way with him. All this takes place on a nightly basis while Malone’s wife, Constance Mazibuko, sleeps peacefully beside him. Now before you dismiss this article entirely (or just laugh yourself silly over it), the article also points out the sad fact that Malope has currently spent the equivalent of around $25,000.00 on “medicines” and other items designed to defend against tokoloshe attacks. So even if this mysterious creature is only the thing of legend, it’s obviously very real to Mr. Malope. An interesting side note is that several gay and lesbian organization are up in arms over the rather un-PC way in which the tokoloshe was depicted in a drawing that accompanied the article. 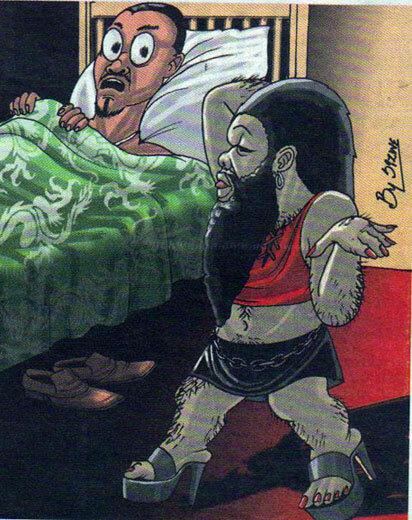 In it, a bearded tokoloshe is shown wearing nail polish, a mini-skirt, and high-heeled shoes. 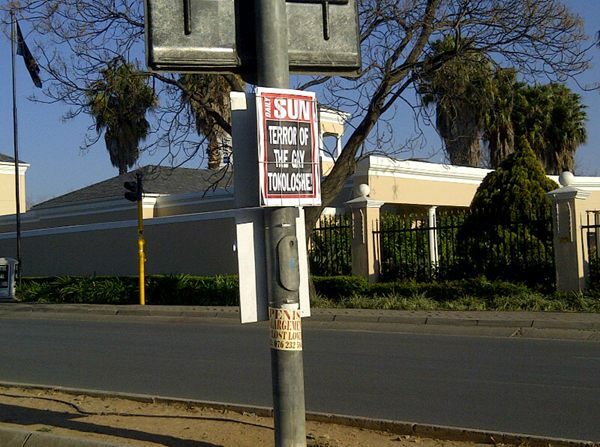 An interesting feature from PRAAG on the Daily Sun article and the tokoloshe legend can be found here.